Hills Football Club Joins Forces with the John Maclean Foundation to raise funds for Australian wheelchair users. 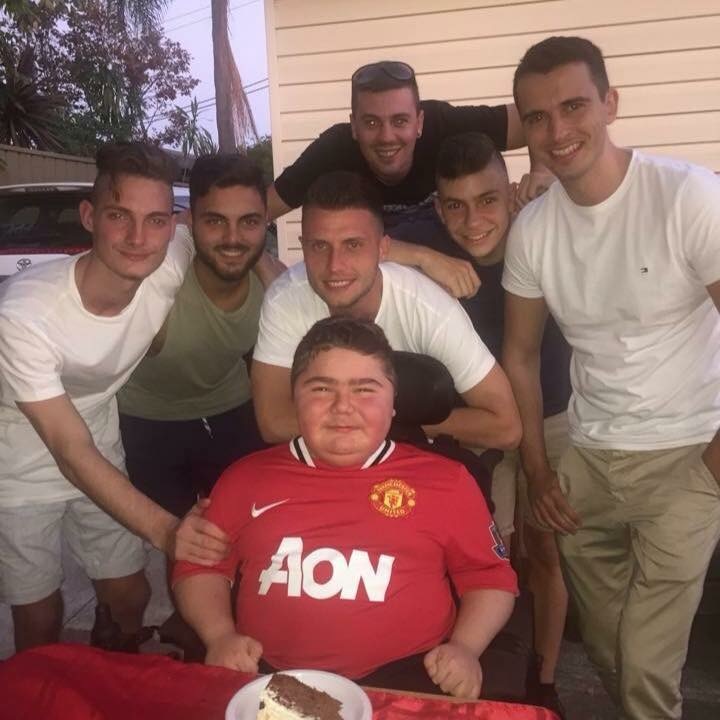 An inaugural Sydney charity football match between the Hills Football All Stars and Hills United FC will be used to raise funds for the John Maclean Foundation. One key recipient of funds raised is 19-year-old power chair footballer, Chris Holmes, who is in desperate need of a new power wheelchair. Chris suffers from Muscular Dystrophy and is wholly dependent on others for mobility, personal assistance, and day-to-day living. Chris uses a power wheelchair permanently and fully enjoys life within his family, his community and within football. Chris commenced playing football two seasons ago in the Reserve grade competition and was rewarded with a spot in the NSW Premier League with Central Coast Mariners First team who regularly play against Western Sydney Wanderers, Sydney FC and Newcastle Jets power chair teams. Almost all other players use what is called “Strike Force” chairs, which are specially designed chairs for football. Manufactured in the USA “Strike Force” chairs re the standard needed to achieve success in football. Unfortunately, Chris is currently playing in an outdated and unsuitable chair that is restricting his capacity to play. So this is where we are going to come in to combine forces and raise funds to purchase anew Strike Force Power Wheelchair and Soccer Guard, which starts at USD $7,800. You can learn more about the Strike Force power wheelchair and soccer guard here. All donations over $2 made to the John Maclean Foundation are tax deductible and you can support the fundraising efforts here. The inaugural Hills Football All Stars v Hills United FC is an exhibition match designed to showcase the best of Hills Football, up against local representative side, Hills United FC. Hills Football has selected a squad of 20 players, picked from each of Hills Football Premier League 1 clubs. Both sides will be honouring their local junior clubs by wearing the socks of the clubs they either play for or represented as juniors. The match will take place on the 21st February at Valentine Sports Park, Glenwood. 7.30pm Kick Off.